Every scrapper needs Un-du to deal with adhesive issues! 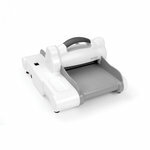 This product will safely remove tape runner, stickers, and photos squares, and will clean any sticky residue from punches and scissors. Un-du will not bleed inks and is photo-safe and acid-free. 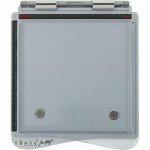 Many Scrapbook.com reviewers say they have successfully used Un-du to remove photos from magnetic albums. Each package include three, 4 oz. bottles of Un-Du adhesive remover. I was so happy to find un-do adhesive remover! As a scrapbooking mom, it is invaluable. I bought a bottle for myself and a bottle for a fellow scrapbooking friend. We have alerted all our scrapbooking friends that we have found un-do and scrapbook.com is the place to get it! It's the best for removing old photos from those old magnetic photo albums. My husband had three albums that not only had the old magnetic pages, but these albums had been through, not one, but TWO house fires. Some of the pictures were WELDED to the pages, but un-do adhesive remover safely removed the photos without any damage to them. Way to go Un-Do! Thanks for carrying such a wonderful product! I got a bottle of this stuff, a billion years ago, but never used it. I just peeled off whatever it was I was trying to move with mixed results. More times than not, I tore my background paper. On my latest project, I needed to remove a large journaling velum. I had to be extra careful as the replacement would probably be smaller and translucent. So I finally grabbed my bottle of Undo to test it out. It instantly broke the adhesive gap and I was able to remove my old journaling and all of the adhesive without damaging the background paper in anyway. I LOVE this stuff! 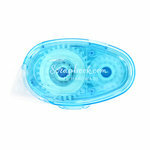 You think it's a lot of liquid but it dries quickly, does not discolor anything, and leaves no stains. As someone who is always repositioning things, I wish I had started using this stuff sooner. The Best Adhesive Remover Ever Made!!! How many fingernails have you worn down or rubbed 1/2 of your skin off trying to remove annoying lables from glassware or anything else you purchase? How many times have you used a product like Goof-Off & it ruined the item's surface in the process? I've used quite a few manufacturer's adhesive removers & they all do not perform like UN-DU Adhesive Remover does as quickly & completely with a minimal amount & absolutely does NO harm to the surface of the item. I've never been able to find UN-DU in craft, hobby, "big box" or hardware stores either. Recommend buying several! Welll worth the price. One of the best things I ever bought for sb'ing! You can unstick photos from your page, paper from paper, photos from those old acidic "magnetic" albums, stickers off your windshield, price tags off glass, bumper stickers off of a wood dresser (know that from experience-ha! ), glue dots from metal, xyron adhesive, etc. All w/o damaging a thing! It looks like a big oily stain when you apply it, but don't panic--it'll dry completely clear and you can restick whatever it was that you unstuck. Also, applying to a cotton ball and wiping off your scissors or cutting blade will un-gunk them if you cut something sticky too. I LOVE THIS PRODUCT!!! I absolutely cannot live without this stuff. It's like magic and I'm not exaggerating. It will remove anything you've stuck down on your projects and when it dries the item can be reused perfectly. It says that the adhesive can be reused and in most cases this is true, but sometimes I do find I have to add more adhesive. But who cares? My mistake has been fixed and my project is still in tact. I absolutely love this stuff and was VERY sad when I thought they would stop making it, but VERY HAPPY when it came back and ordered more immediately so I wouldn't be without. I've been waiting for Un-Du's return (my current bottle was getting very low). Here in California our local scrap store was unable to order it, so I was thrilled when I discovered its return. 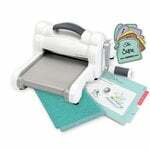 It's an absolute MUST HAVE if you're a scrapper (or card maker). I'm always changing my mind when I'm working on layouts, so it's been a real resource saver when I need to remove something and reapply it. The product has never damaged my pictures or the layout I'm working on. I highly recommend it to all my fellow scrappers. Thank you, thank you, thank you! I purchased this to remove pictures from some old albums that were given to me by my husband's grandmother and this was the perfect thing for removing the pictures. The albums were old - very old and using this was better than any other advise given - ie. dental floss, etc. It was quick-drying and didn't hurt the pictures at all. The only thing to be cautious of is that the odor is kind of strong - just like turpentine so you may want to have a fan on or a window open. Remove Old Photos from "Magnetic Albums"
I purchased this product for to use in removing my childhood photos from those old "Magnetic", really just sticky, albums. I have to confess my age that some of those photos have been stuck for nearly 40 years! Amazing, Un-Do removes them just like it advertises - effortlessly! Even with these very old, fragile photos, there is NO damage to the photo. I am in the process of rescuing my family photos and placing them in proper albums. If you want to rescue yours, don't attempt to pull them from the albums without Un-Do!! Previous attempts resulted in photos whose backs had peeled off or they were were bent quite badly after removeable. Now, I use Un-Do, allow the photo to dry and the photo looks them same as when it was stuck in the old album - Yeah! I'm all over the fact that this is good for scrapbooking but I find I use it more around our home and at the Scrapbook.com facilities (I guess that could be considered scrapbooking, LOL). Recently I used it to remove stickers from some shelving in the warehouse but there was lots of adhesive residue left on some of the shelves. I simply put some UnDo on a paper towel and easily wiped the rest of the goo off. I've given bottles to my kids to have in their homes because I give my grandkids my old stickers and they torment their moms by using them in creative ways. And, call me eccentric, but I've tucked bottles of UdDo into baby shower and wedding shower gifts too. Would this work on getting spots of permanent adhesive off mirror color card stock? By: kelly.whitney (27-Jul-18) Helpful Question? Yes | No Thank you! Report Inappropriate This question has been reported. Thank you! Definitely! By: hljones (10-Aug-18) Helpful Answer? Yes | No Thank you! Report Inappropriate This Answer has been reported. Thank you! Can this product be used on the front of a photograph that has sticky residue on it? By: User (03-Jul-17) Helpful Question? Yes | No Thank you! Report Inappropriate This question has been reported. Thank you! I would try it first on a photo that I do not intend to keep. Put the adhesive in the front of the photo , let it 'age' for a day, the apply the Undo. Give it a bit of time to fully dislove the adhesive, wipe the residue away and reapply the Undo again if needed. By: Karen Lindsey (05-Jul-17) Helpful Answer? Yes | No Thank you! Report Inappropriate This Answer has been reported. Thank you! Will this take off the adhesive that has gotten on my roller of my big shot plus and my platform? If not does anyone have any suggestions. By: m_mitchek (27-Mar-19) Helpful Question? Yes | No Thank you! Report Inappropriate This question has been reported. Thank you! I've not tried it on a Big Shot, but I would venture to say "yes!" It will take adhesive off all surfaces. I have used it on my trimmers, including the plastic platforms and the metal blades (very similar). I use it on nasty prescription labels on pill bottles all the time (I like to recycle them to hold skinny things in craft holders to keep them together and upright). It's great on scissors. Just pour it on Kleenex or paper towel and work quickly, as it evaporates quickly. Work in a well-ventilated environment (a fan will do). By: sharonlsundstrom (30-Mar-19) Helpful Answer? Yes | No Thank you! Report Inappropriate This Answer has been reported. Thank you! Need HELP with this product. I bought a bottle here back in February and finally got around to use it. I can not for the life of me open the bottle up. Just can not get the cap off!! Can anyone share how they get the cap off ???? Thank you for your help and hope I'm gonna feel like an idiot when I find out just how to up cap this magic product. Hmmm, just took a photo of my bottle cap but can not find a way to insert it here. My cap looks different from the ones on the Un-Du webite-has an extra white part on the bottom of cap and does not look like it separates - not that I'd know because I can not uncap the bottle. By: jlguilford (09-Aug-18) Helpful Question? Yes | No Thank you! Report Inappropriate This question has been reported. Thank you! The newer bottles are more difficult to open. Ii turn the cap until it catches, then I use my thumb and forefinger to push it the rest of the way. If this doesn't work, try a pair of short nose pliers. Last resort is to remove the black "scoop". DO NOT leave the bottle uncapped as the liquid evaporates quickly. I emptied a bottle into a mason jar and use it with an eyedropper. Once the paper (card stock, photo, designer paper) is wet, the adhesive releases. I am also VERY FOND of Creative Memories Multiple Purpose tool. I always have multiples on hand as they work wonderfully to get between the papers and lift. By: odumrol (10-Aug-18) Helpful Answer? Yes | No Thank you! Report Inappropriate This Answer has been reported. Thank you! Thank you for your information. I appreciate your taking time to help me out. By: jlguilford (13-Aug-18) Helpful Answer? Yes | No Thank you! Report Inappropriate This Answer has been reported. Thank you!